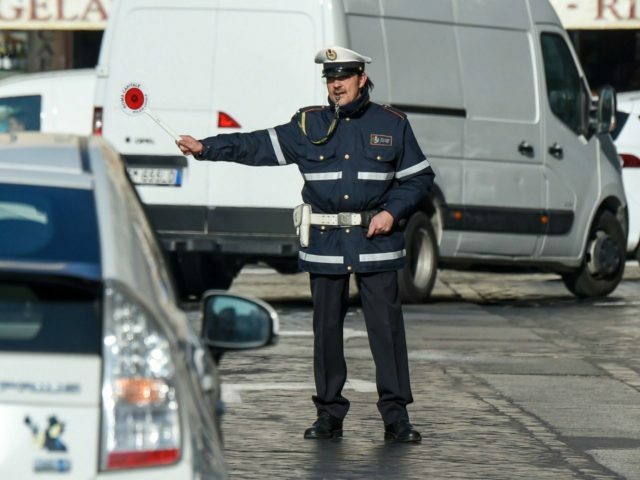 A “North African” migrant has attempted to ram police with a car in a southern Italian town Wednesday, before attacking and injuring an officer with a knife. Italian press said the attack in the Railway neighbourhood of Foggia “recalls the dynamics” of Wednesday’s attack in Westminster, London, which saw three people killed. According to Repubblica, the “African citizen” failed to stop at a police checkpoint and ran over the foot of an officer. As he attempted to escape in his vehicle, he crashed into a parked lorry. He then emerged from the immobilised car and launched a knife attack on officers, stabbing and wounding one in the hand. The attack in London also began with a man ramming police officers and members of the public with a vehicle, before crashing his car and stabbing an officer. There was a third similar attack on Thursday in Antwerp, Belgium. A “French-Tunisian” man drove his car into a crowd on a busy shopping street, forcing pedestrians to jump out of the way. He was stopped by police before he could harm more people, and weapons including knives were found in his car. Commenting on Wednesday’s suspected attack in Italy, Franco Landella, the mayor of Foggia, said the Railway neighbourhood’s high migrant population presented acute security challenges. He described it as “an ugly incident that could have had far worse consequences had it not been for the sense of responsibility and experience of our local police”.